R-Cap is top Sales Representative for Admix - R-Cap Process Equipment, Inc. 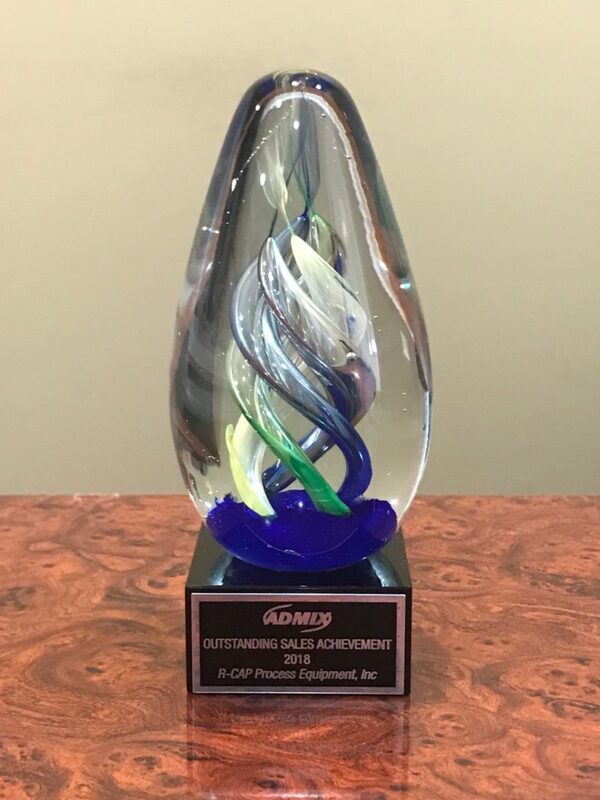 Yet again, R-Cap is proud to receive the Outstanding Sales Achievement Award from Admix. For over 25 years, R-Cap has been a reliable representative for Admix, ranking # 1 in sales and service in the country for a vast majority of those years. Talk to R-Cap today about your next application that requires: high shear mixing, powder induction, or particle size reduction! We can help you!